Pimsleur® equals success. Just one 30-minute lesson a day gets you speaking and understanding like no other program. Punjabi Phase 1, Units 11-15 build on material taught in prior units. Each lesson provides 30 minutes of spoken language practice, with an introductory conversation, and new vocabulary and structures. Detailed instructions enable you to understand and participate in the conversation. Each lesson contains practice for vocabulary introduced in previous lessons. 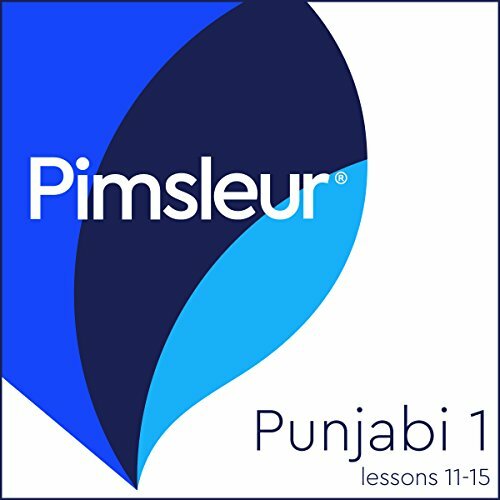 The emphasis is on pronunciation and comprehension, and on learning to speak Punjabi.Pimsleur's "Punjabi" teaches the Eastern Punjabi dialect as spoken in India.